The Ink Trap: Day 3 of Krafty Peeks at Kraftin' Kimmie Stamps! Day 3 of Krafty Peeks at Kraftin' Kimmie Stamps! Welcome back to day THREE of our SEPTEMBER Kraftin' Kimmie Peeks!!! Today we are sharing TWO super cute new sets by artist Thais Narciso! They are called.......GO WITH THE FLOW! and JUST CHILLIN'! Would you like to know who won the new stamp sets that we previewed yesterday???!! Well, you'll just have to wait until Saturday night at this month's ONLINE RELEASE PARTY!!! Hope you can join us for all the fun and excitement and prizes!!! Then come on back tomorrow to check out the some MORE new stamps....this time from Rachelle Anne Miller in combination with this week's challenge. And ALL the new stamps will be available on Saturday night at the KKStamps Shop!! Very cute! Love the way you've coloured the bear. A skating bear! How fun, loving these cute images and your background is awesome! 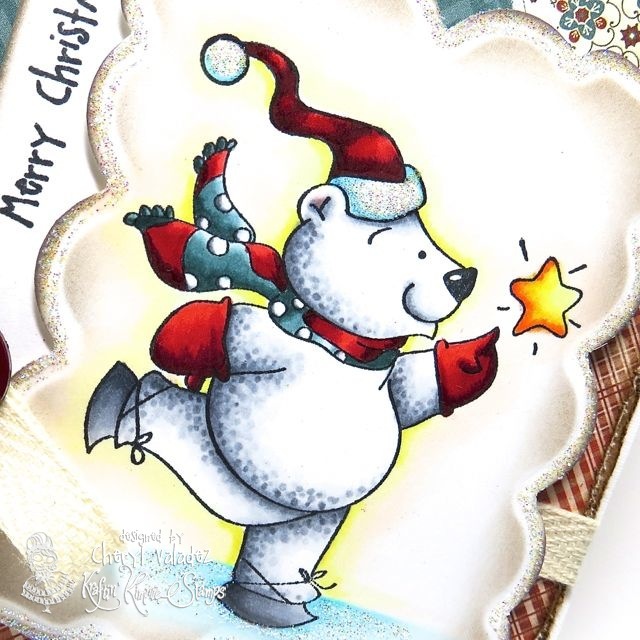 Lovely bear, love your card, the desing is wonderful and the glittery border... I have to try someday. Great inspiration!!! Very cute...love the shading on the bear and the ruffled doily. This caught my eye! Great job, as always! I always smile when I see a doily!! Oh Cheryl this is too darn cute!!! adorable card love the nee image. Beautiful card! I love your coloring. He is so cute! Beautiful card, love the coloring! Fantastic card. The bear is too cute and your colouring is fantastic - love the spotted shading. So cute... love your paper patterns and how you layered them for your cute bear... He's Goin' With The Flow ! Wonderful coloring and cute bear - adorable set! Wonderful card Cheryl...love this fella !! Such a cute card and as always your colouring is AMAZING !! Thanks for inspiring me once again !! Kraftin' Kimmie's Holiday Card Making Kits! Mid-challenge Inspiration at Kenny K! 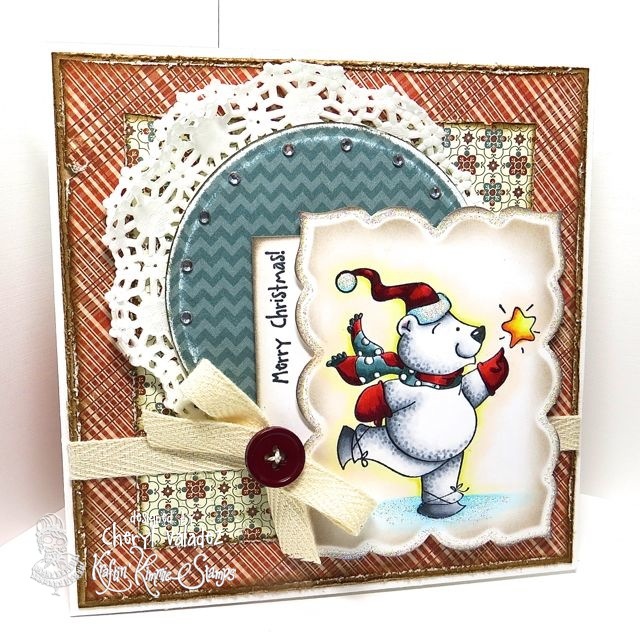 Day 4 of Krafty Peeks at Kraftin' Kimmie Stamps! A New Challenge at Kraftin' Kimmie Stamps: Fall!